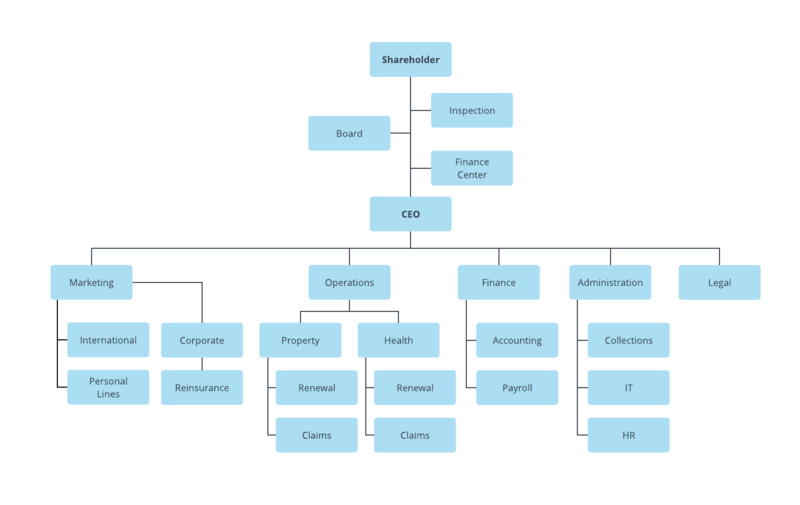 This corporation org chart example shows how the departments and individuals of a corporation are organized in relation to one another. Having an org chart available improves communication and assists in structural planning. You can revamp this corporation org chart template to match your own corporation. First, sign up for a free Lucidchart account, then add or remove shapes and text until you have an accurate, useful org chart.